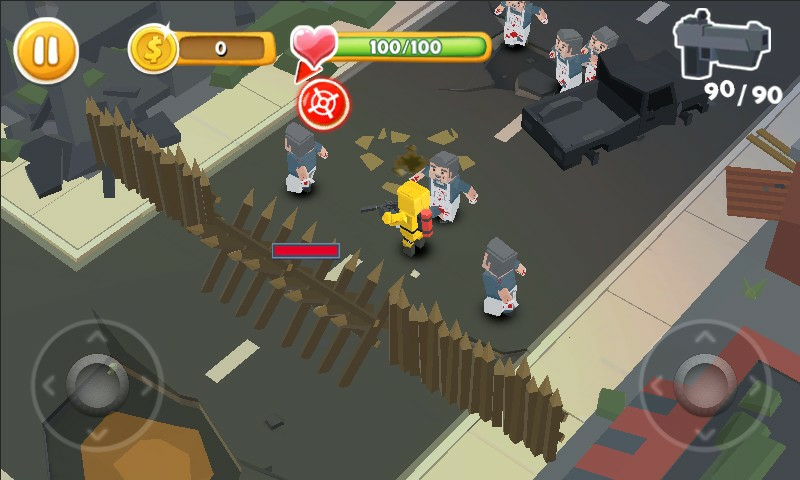 Pixel zombies have invaded the city, you need to kill zombies, and constantly challenge the new level! You have to kill all zombies in the world who are trying to attack you, do not let them surround you. 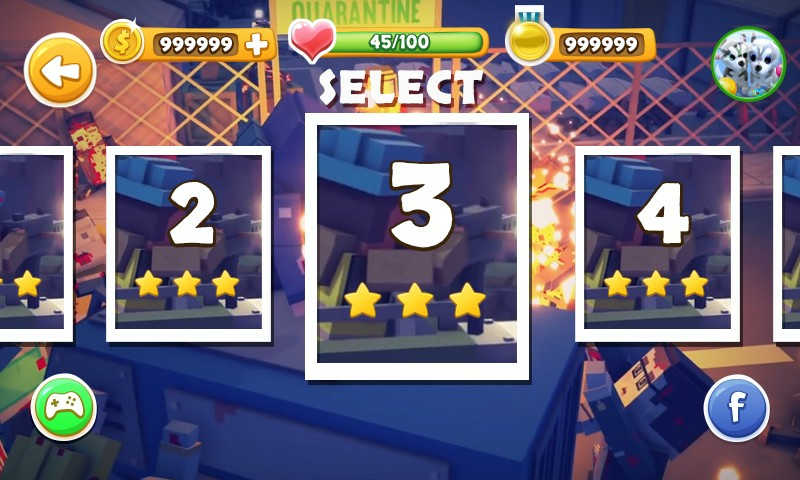 Pixel Zombie Battle With a 3D game screen and rich pixel game elements, you will experience a whole new zombie shooter game that delivers a high quality shooting game experience on your mobile platform. 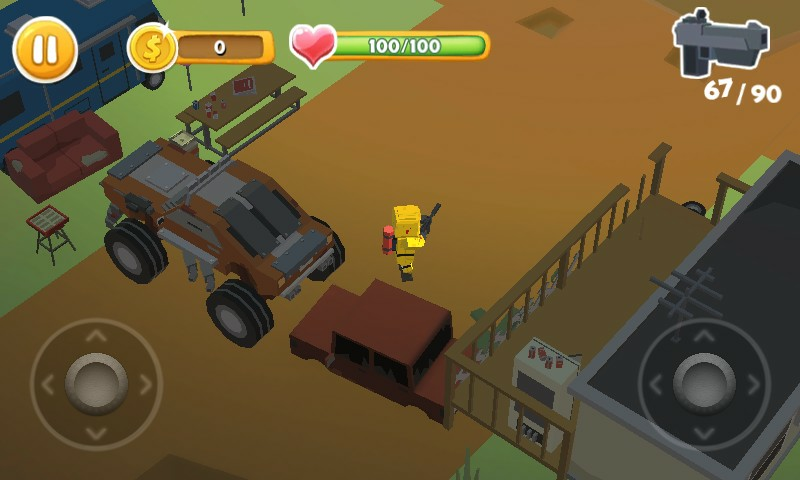 You can use submachine guns, shotguns, pistols, sniper rifle to kill zombies, and grenades and other props to help themselves blaze a new trail, to escape the zombie city. ★ Enjoy stunning music and sound effects. ★ experience the feeling of crazy shooting zombie. 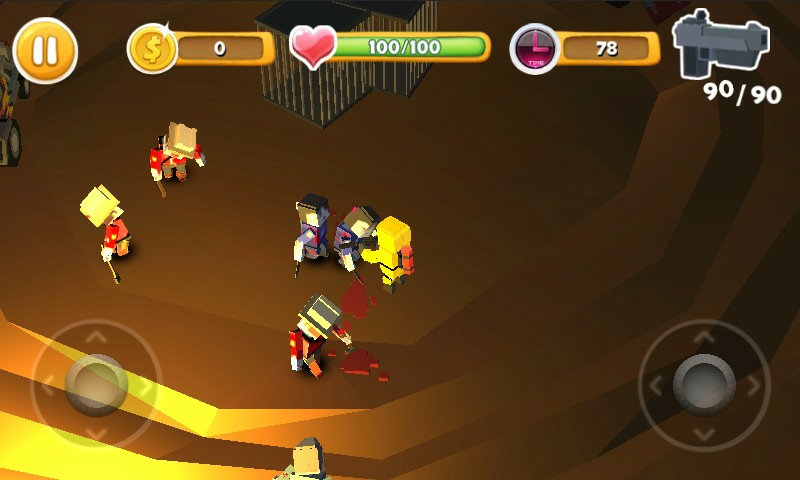 ★ Kill different types of zombies. ★ New weapons and upgrade system. ★ Puzzle Design and Hostage Rescue. ★ time to survive mode. ★ New and unique item rewards. ★ Pixel style shooting game. ★ driving armed vehicles mopping up zombies. ★ low polygon model to enhance performance. Join us now is the time to fight it!